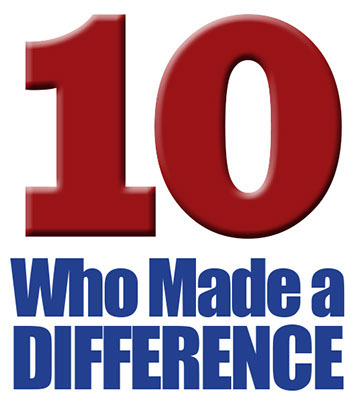 What defines making a difference? You have your criteria, we have ours. But we can all agree that the Latinos and Latinas in the pages to follow have immeasurably enriched our lives in 2014. Humility was a factor, and if you wonder why you haven’t made the list, then you shouldn’t be on it. Some are famous, others are unsung heroes. They’re insiders as well as outsiders, leaders as well as followers. They’re actors, reporters, entrepreneurs, politicians, teachers and ballplayers. But this year, they all inspired us to be the best version of ourselves. 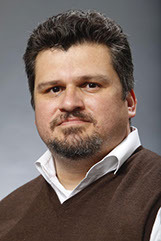 It’s the best of times for Tony Tijerino. For thirteen years, the Nicaraguan native has led the Hispanic Heritage Foundation, known for its star-studded Hispanic Heritage Awards, broadcast on PBS. But he’s equally proud of LOFT (Latinos on the Fast Track) a unique program for “the leaders of today, not tomorrow, “ which links college students with companies like Goldman Sachs. Tony combines marketing savvy and smooth salesmanship with ganas and a deep commitment to our community, especially his LOFTies. And while his peers were celebrating Hispanic Heritage Month, he led a group of humanitarian advocates including actress America Ferrera to McAllen, TX, in support of refugee children to provide them with hope and relief through reading, playing, and praying. José Diaz Balart made history this year by being the first newscaster to anchor shows in English and Spanish, on MSNBC and Telemundo. Scion of a Cuban political dynasty that includes brothers Lincoln and Mario, José gave as good as he got from Laura Ingraham. He’s also a champion of education, attending the annual HESTEC conference in the Rio Grande Valley. 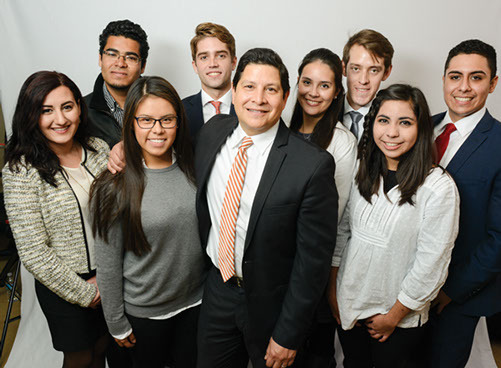 Amid the babble of talking heads on cable television, José provides clear thinking, accurate reporting and a nuanced Latino perspective. 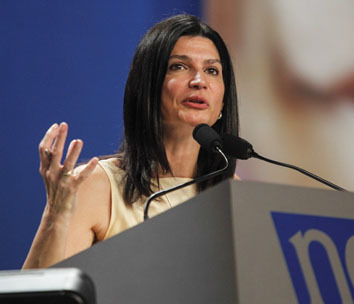 took the reins of the 3.2 million member National Education Association. Born of a Panamanian mother, she began her career as a cafeteria worker, and worked her way through college as a folk singer. In 1980, she began teaching at an elementary school in Utah and never looked back. A passionate advocate in classrooms as well the halls of Congress, Lily fights for teachers and students everywhere. Many happy returns for Ingrid Duran and Catherine Pino, partners in life as well as business. Their lobbying and public relations firm, D&P Creative Stategies, just celebrated its tenth anniversary. 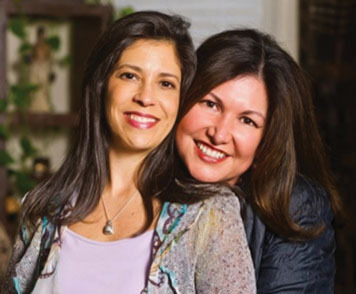 Ingrid and Catherine thrive at the intersection of politics and media, representing corporate clients like Comcast and Herbalife as well as nonprofits like Excelencia in Education and the Famiia es Familia initiative. Plus they’re television producers, with the award-winning Latino List, and other projects to come. This year, Cristela Alonzo made us laugh, and never was a sense of humor needed more. She wrote, produced and starred in a hit show on ABC called Cristela, modeled after her own life and family. Hailing from San Juan, TX, in the heart of the Rio Grande Valley, she ignores the usual cha-cha-cha stereotypes and portrays an aspiring Latina law student navigating two cultures and trying to land her first big job. ABC just picked up the show for a full season, so check her out on Friday nights! 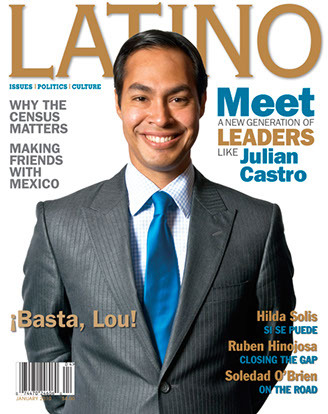 Adios San Antonio, hola Washington, DC for now, says Julian Castro. This rising star of the Democratic Party was tapped to be Secretary of HUD, following in the footsteps of his mentor Henry Cisneros, also mayor of San Antonio and cabinet member under Clinton. But Julian may go farther. Rumor has it he’ll be on the short-list for Hillary’s VP in 2016. And if not, just wait...barely 40 years old, he’s clearly got a long way to go, as does his twin brother Joaquin, just re-elected to Congress. 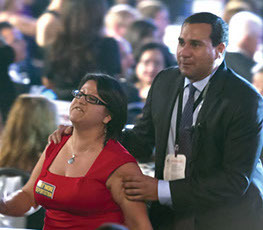 During Hispanic Heritage Month, at the swanky CHCI gala in Washington, DC, Blanca Hernandez interrupted Obama’s predictable speech about the lack of immigration reform by yelling, “We need relief now!” until she was hustled out by burly Secret Service agents. There were lots of so-called Latino leaders in that ballroom, but the diminutive DREAMer was the only one who spoke truth to power. And the president finally listened. 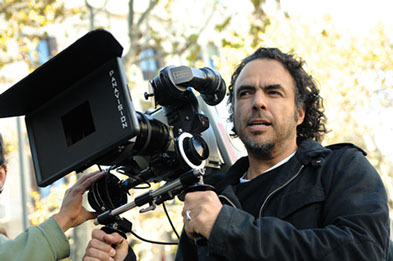 Alejandro González Iñárritu directed Birdman, a masterpiece of cinematic razzle-dazzle. Michael Keaton is wonderfully cast as a former action-hero (is that you, Batman?) trying to make it on Broadway. The movie challenges and confounds, but never disappoints. Strong performances by Emma Stone and Edward Norton spark an all-star ensemble. Along with compadres Alfonso Cuarón and Guillermo del Toro, Iñárritu has started a Mexican revolution in Hollywood. 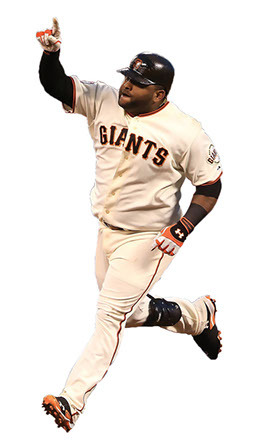 Slugger Pablo Sandoval had a three-hit night in Game 7 to give the San Francisco Giants a stunning victory in the World Series. It was hardly a fluke, since he was the MVP of the World Series in 2012. The Venezuelan “Kung Fu Panda” is a lifetime .294 hitter with a legion of devoted fans who wear panda masks when he steps to the plate. Next year, he’ll play third base at Fenway, because the Red Sox just signed him to a five year, $100 million contract. Batter up!